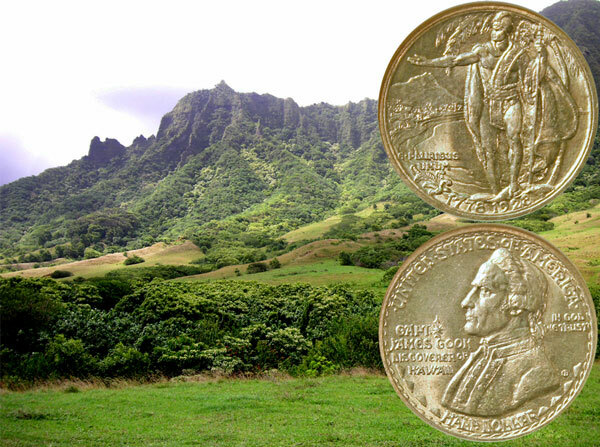 Today, the Hawaii Sesquicentennial Commemorative Half Dollar coin tells of Hawaii’s first written constitution signed on October 8, 1840. Though some call the earlier document from 1839 a “constitution,” it was more of a Declaration of Rights. The constitution authored and signed by King Kamehameha III and the chiefs 174 years ago incorporated the 1839 declaration of rights and added the governmental structure to form the 1840 document into a real constitution for Hawaii. DECLARATION OF RIGHTS, BOTH OF THE PEOPLE AND CHIEFS. “God hath made of one blood all nations of men to dwell on the earth,” in unity and blessedness. God has also bestowed certain rights alike on all men and all chiefs, and all people of all lands. These are some of the rights which He has given alike to every man and every chief of correct deportment; life, limb, liberty, freedom from oppression; the earnings of his hands and the productions of his mind, not however to those who act in violation of laws. God has also established government, and rule for the purpose of peace; but in making laws for the nation it is by no means proper to enact laws for the protection of the rulers only, without also providing protection for their subjects; neither is it proper to enact laws to enrich the chiefs only, without regard to enriching their subjects also, and hereafter there shall by no means be any laws enacted which are at variance with what is above expressed, neither shall any tax be assessed, nor any service or labor required of any man, in a manner which is at variance with the above sentiments. PROTECTION FOR THE PEOPLE DECLARED. The above sentiments are hereby published for the purpose of protecting alike, both the people and the chiefs of all these islands, while they maintain a correct deportment; that no chief may be able to oppress any subject, but that chiefs and people may enjoy the same protection, under one and the same law. Protection is hereby secured to the persons of all the people, together with their lands, their building lots, and all their property, while they conform to the laws of the kingdom, and nothing whatever shall be taken from any individual except by express provision of the laws. Whatever chief shall act perseveringly in violation of this constitution, shall no longer remain a chief of the Hawaiian Islands, and the same shall be true of the Governors, officers, and all land agents. But if any one who is deposed shall change his course, and regulate his conduct by law, it shall then be in the power of the chiefs to reinstate him in the place he occupied previous to his being deposed. Their constitution followed this introduction and defined the Hawaiian government. King Kamehameha III and his chiefs outlined a structure with partially separated executive, legislative and judicial branches. Though the house of nobles, based on heredity, remained part of the government, they added an elected house of representatives to stand for the people of the different islands. In addition, the new constitution identified a supreme court to decide legal issues. In closing, the King and the chiefs added a process for amending the constitution but only if the people agree. After signing the 1840 document, King Kamehameha III voluntarily gave up his absolute power to rule instead as the Chief Executive in conjunction with the other branches of government. Shortly afterwards, the King as Chief Executive wanted other nations to recognize Hawaii’s independence. In the summer of 1842, the government sent chosen delegates to visit Europe and the United States to request the recognition of their independence. In December 1842, President Tyler agreed to recognize Hawaii’s self-government. By November 1843, the British and French governments formalized a proclamation identifying Hawaii, known to them as the Sandwich Islands, as an independent state. Congratulations to the King and to the chiefs for their foresight in writing a short and succinct constitution that set up their government 174 years ago today. The Hawaii Sesquicentennial Commemorative Half Dollar coin shows against a background of the Hawaiian countryside.